Operating on the principles of honesty and integrity for over 15 years! Welcome to our new web site! Please enjoy and feel free to leave us feedback. Call us to find out how we can help you save big on your energy costs! Welcome to Dwight's Heating and Air. "Every homeowner knows that finding quality service people is not an easy task. I can highly recommend Dwight's Heating and Air." Dwight's Heating and Air takes pride in all work performed. customers with honesty and integrity. We service all brand name makes and models including Carrier®, Rudd®, York®, Payne® and many others. 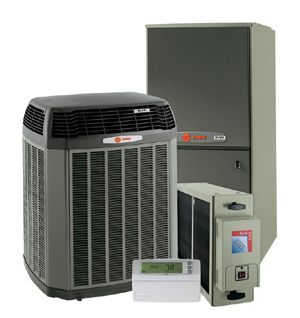 We are an authorized Trane® dealer. Free estimates on new equipment installation! We provide business and residential services. Copyright � 2014 Dwight's Heat and Air, LLC. All Rights Reserved.